At some point, my childhood religion stopped doing the trick for me. I saw how my strict Catholic father was often unhappy and how he often made others unhappy. When I was little I remember putting “Mrs. Doubtfire” in the VCR and fast-forwarding to the climax (where Mrs. Doubtfire gives Stu the Heimlich maneuver) dozens of times because that was the only thing that I knew of that would make my dad laugh. Up until the age of ten, I was scared of my father because he always seemed angry. As I got older I started blaming my Dad’s religion, specifically his weird catholic magazines full of bigotry and Rush Limbaugh, for his everlasting state of grouse. In my mind there were too many people to not accept, too many natural instincts to suppress and too many strange rules to follow. No wonder he was so grumpy. Catholicism did not sit well with me or, in my opinion, with my father, but of course I respect that it enlightens others. I like that there seems to be something out there for everyone to believe in or look to for fulfilment, from the good ol’ traditional book to beliefs in evil alien rulers. Four years ago I found something that enlightened me. I got into a comedy improv group at my University and life started to be more rewarding. I became more confident, happier, outwardly creative; I found real friends with whom I could both be myself and not be myself, as that is the improv way. You’ll notice at improv comedy shows, there is no strange hierarchy of any sort and by “all are welcome in this place” it means all, as long as you are willing to laugh. Participants of Improv always seem to find what they are looking for, even if they didn’t know what they were looking for. Kind of a “was blind but, now I see”, feeling. There is a lot of honesty in good improv. Not always, but often times, relevant problems are addressed on stage. Certain behaviors are questioned and criticized with humor. Improv can help bring to light detrimental behaviors or question worth and profundity of modern mass movements or current events. 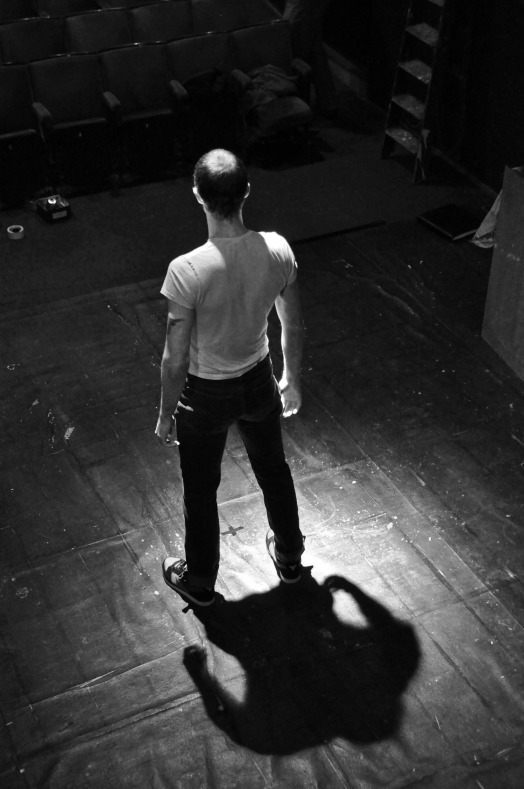 Improvisers themselves reap the most benefits from the art form. With time and practice they become better listeners and better communicators. Their improvisational skills are not limited to the stage but cross into all aspects of life which is related to their developed creative thinking skills. The most practiced improvisers are self-confident and decisive. They know how to trust their stage partners. Improvisers learn how to make others look good and see the value in sharing the limelight. Religions are neat in that they provide guidelines on how to live a happy life. Improv, for me, helped me better myself and then enhanced my life. There is something out there for everyone, so maybe if you’re not finding what you are looking for in a place of worship, go downtown and watch, or do, some improv. You just might find just what you need.